My best friend visited my house last weekend, and he was astonished to see multiple wood pallet creations inside my house. They were everywhere, like in my bedroom, drawing and dining room, patio and even in my garden. He really admired me on all of these attention grabbing pallet wood creations. And the good thing was he also showed sheer inclination towards the skill, he was keen to learn all this and immediately planned to make a workshop for this wood work and stuff right in his backyard. 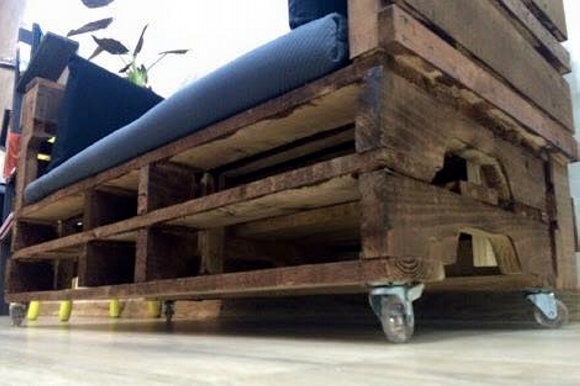 One of these indoor pallet creations was this elegant sofa I am bringing you guys in this article. Whenever you intend to buy some traditional wooden sofa for your house, the price is always a matter of concern as the sky high prices of market based wooden furniture items can easily drain out your wallet. But whenever we do it with pallet wood recycling, we must never get worried about the finances. The major reason behind this commendable phenomenon is wood pallet, as we all know that these pallets always come free of cost and just by a bit of effort, we can turn it into a splendid wooden furniture item. All depends on your passion for the pallet wood recycling. 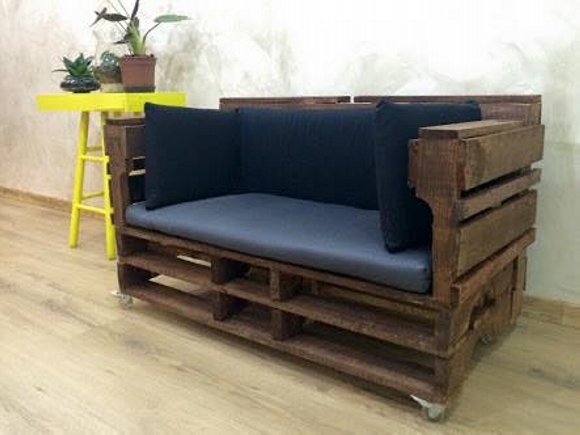 Here we would have a detailed look on the structure and shape of this wood pallet recycled sofa. 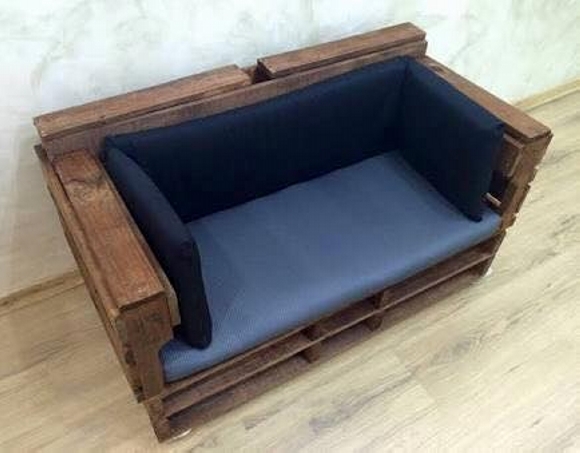 This is basically a two seater sofa, we can easily figure out that only the pallet wood is used in making the entire structure. On the base, a couple of whole pallets are combined together, and on the base we have installed four robust metallic wheels that make it easily mobile. With comfortable armrests, there is a tall and comfortable back too. So you can grab this wooden beauty on your desired place just with a push.